Wow your nieces and nephews with your knowledge of these baseball stats! Do you know about a famous second baseman, known as Maz? Of course! He hit a home run that won the 1960 World Series for the Pirates—that was the first Series-ending home run in history! Reggie Jackson? Well, that’s Mr. October! Don’t even let them get you started on Willie Mays and the Catch! 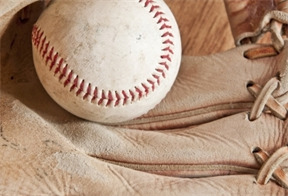 Baseball season is in, Auntie, and you’re sure to impress with this top 10 list in your back pocket. Mazeroski was an eight-time Gold Glove winner as a second baseman for the Pittsburgh Pirates, but the biggest moment of his career came from an uncharacteristic surge of power at the plate. In the top of the ninth inning during Game 7 of the 1960 World Series, the New York Yankees tied the game by scoring two runs. Maz led off the bottom of the inning, and on a 1-0 count, he blasted a pitch over the leftfield wall. His home run won the World Series for the underdog Pirates. It was the first Series-ending home run in history and remains the only walk-off homer ever hit in a Game 7. During the 1993 World Series, Carter’s Toronto Blue Jays led the Philadelphia Phillies three games to two in the Series and 5-1 in the game. Philadelphia would not go down quietly. A five-run seventh inning sparked by Lenny Dykstra’s three-run homer gave the Phillies a 6-5 lead in the ninth. Carter came up to bat with one out in the bottom of the inning and teammates Paul Molitor and Rickey Henderson on base. Carter ripped a 2-2 pitch over the leftfield wall to clinch the Series for the Jays. The five-time All-Star was no stranger to clutch hitting in the World Series: The previous year he had hit two home runs when the Blue Jays defeated the Braves for the title. Before Larsen, only three modern-era pitchers had thrown a perfect game. None of them did it in as high-pressured a situation as Larsen. With the 1956 World Series between the Yankees and the Brooklyn Dodgers tied at two games apiece, New York manager Casey Stengel gave the ball to Larsen despite his shaky start in Game 2. Larsen responded by completely shutting down the Dodgers’ lineup, which included stars such as Roy Campanella, Jackie Robinson, and Duke Snider. With two outs in the ninth, Larsen struck out Dale Mitchell for his 27th out in 27 batters. Yankees catcher Yogi Berra leaped into Larsen’s arms to celebrate what remains the only perfect game in postseason history. Koufax missed Game 1 of the 1965 World Series against the New York Yankees because it fell on Yom Kippur, but he made up for his absence later in the Series. He bounced back from a poor Game 2 by pitching a shutout in Game 5 and, amazingly, returned on two days’ rest to start Game 7. Koufax ignored a sore arm and pitched a three-hit shutout that wrapped up the Series for the Los Angeles Dodgers. After the accomplishment Koufax was named SPORTS ILLUSTRATED’S Sportsman of the Year. Jackson earned the nickname Mr. October after showcasing his power during Game 6 of the 1977 World Series. The New York Yankees won the game 8-4 thanks to Jackson, who took three different Los Angeles Dodgers pitchers deep, in the fourth, fifth, and eighth innings. The rightfielder had also hit a home run in his final at-bat of Game 5, meaning Mr. October hit four home runs in four straight swings during the Series. Jackson’s five home runs is tied for the most by one player in a single World Series. The Curse of the Bambino infamously struck during Game 6 of the 1986 World Series. The heavily favored New York Mets trailed the Boston Red Sox three games to two in the Series and were down by two runs in the bottom of the tenth inning before a two-out rally tied the game. That’s when New York’s Mookie Wilson hit a slow grounder toward Boston’s Buckner at first base. Buckner, slowed by injuries, feared Wilson would beat out the play at first, and rushed while fielding the ball. It went through Buckner’s legs. Mets third baseman Ray Knight scored on the botched play, winning the game and forcing a Game 7. The Mets went on to win the decisive game and the Series. The St. Louis Cardinals’ season appeared to be over in the ninth inning, with the Texas Rangers leading the Series three games to two and ahead by two runs. Down to his last strike, Freese slapped a two-out triple that scored two runs and sent the game into extra innings. He struck again in the 11th, slugging a walk-off home run over the centerfield wall to keep St. Louis’s title hopes alive. The Cardinals went on to win Game 7, and Freese was named the World Series MVP. The Minnesota Twins trailed the Atlanta Braves three games to two in the 1991 World Series. Luckily, the Twins had Puckett to help turn things around. In the third inning he leaped into the outfield wall to rob the Braves of the key extra-base hit. Then, with the game tied in the 11th, Puckett hit a walk-off home run. The Twins went on to win Game 7 in one of the most exciting World Series of all time. NL MVP Gibson led the Los Angeles Dodgers to the 1988 World Series. Once there, however, he was too injured to start. In Game 1, with L.A. trailing 4-3 with two outs and one man on, Gibson was called to pinch-hit in the ninth. He battled through a long at-bat against A’s closer Dennis Eckersley before smacking a slider into the stands. Gibson’s game-winning home run trot is legendary, as he limped around the bases pumping his fist. Mays made one of the most famous plays in baseball, known simply as the Catch. It happened in Game 1 of the 1954 World Series between the Cleveland Indians and the New York Giants. With one out in the eighth and two runners on base, Cleveland’s Vic Wertz ripped a long fly ball to deep centerfield in the seemingly endless Polo Grounds. Mays ran toward the wall and, without his eyes on the ball, reached out to make the iconic basket catch to keep the game tied. Mays, the 1954 NL MVP, went on to lead the Giants to the World Series title.